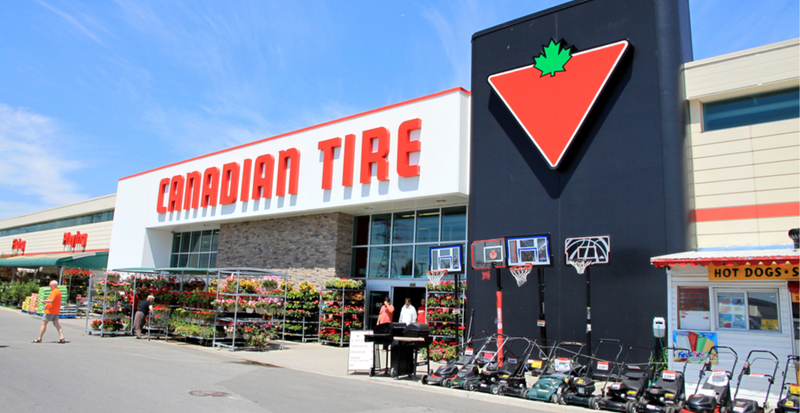 Canadian Tire has beat out hundreds of companies to be named the most admired brand in Canada, according to a new national survey. 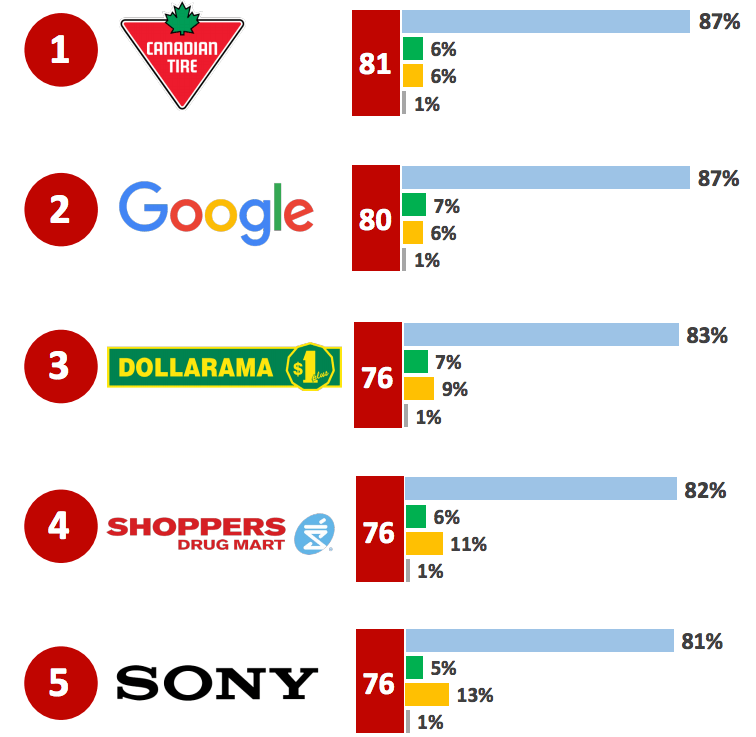 Google, Dollarama, Shoppers Drug Mart, and Sony round out the top five in the most recent list of admired brands in the country. The 2019 Corporate Reputation Study conducted by research firm Leger, assessed 300 companies from 28 business sectors to see which brands were most favoured by Canadians. 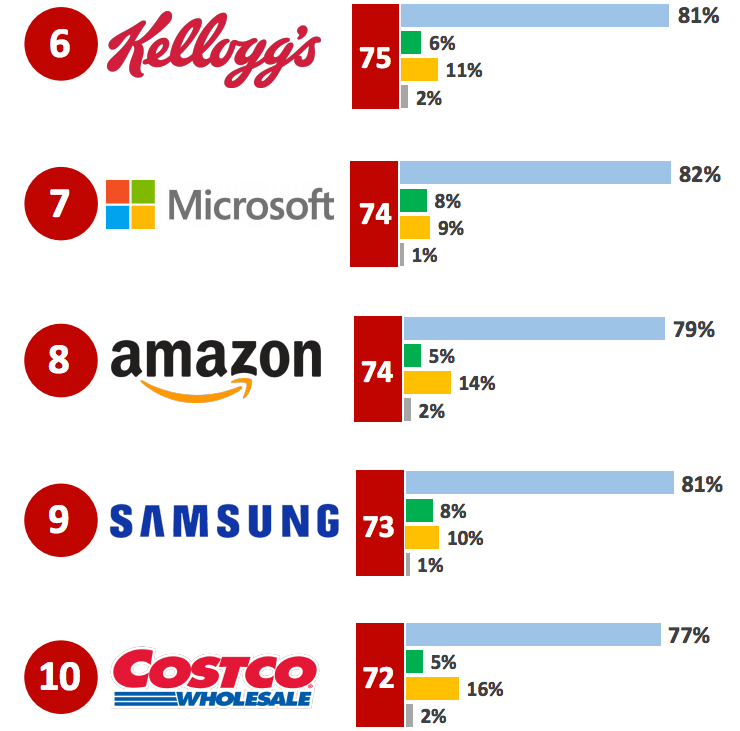 The company’s rankings are based on online survey responses from tens of thousands of people answering questions about how they feel about each brand. This year each company was assessed by 30,000 Canadians in an online questionnaire format. Tim Hortons, which plunged from fouth to a dismal 50th in the rankings last year because of its stance on minimum wage, did see some gains. The coffee giant jumped 16 places this year, landing at 34th on the list. Other companies didn’t score top honours when it came to having the public’s faith and respect. The research firm says its data shows that understanding how to regrow a positive reputation is critical to a company’s brand reputation. “What is even more important, is knowing how to build a reputation that is resistant to crisis. We have seen companies drop in reputation and recover the next year or in following years. We have also seen companies struggle to recover and some never doing so. A commitment to building and maintaining a strong reputation is must for organizations today,” said Dave Scholz, Leger’s Vice President. It also shows that Canadians are a forgiving lot, if companies are transparent when they make a misstep. Two brands that went through a prolonged and very public crisis in the past few years — Samsung and VW — have seen their brands rebound to pre-crisis levels.